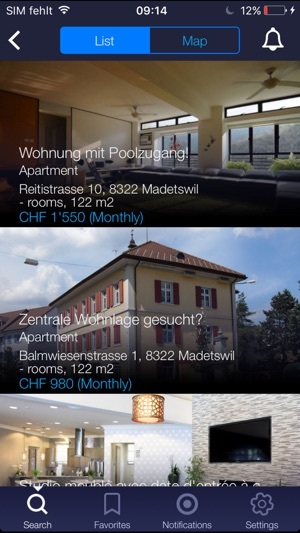 Search for properties on the best real estate app of Switzerland (Best of Swiss Web 2013). 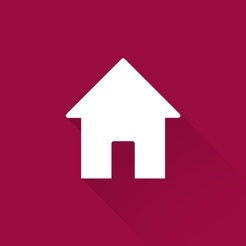 More innovative, faster, easier to find properties! 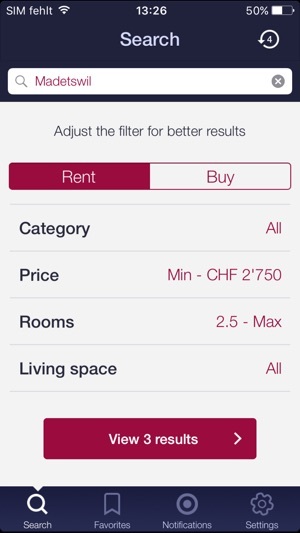 Whether in the tram, the bus or out walking, you can now find your new home quite easily with the iPhone app by home.ch. 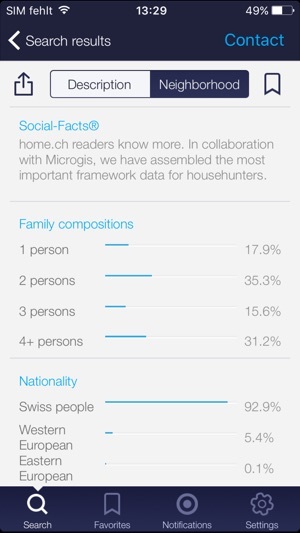 - Exclusive socio-demographic information on your property, such as the age distribution of your neighbours, nationalities, family composition, average incomes and taxes etc. Tips, ideas, comments, feedback? 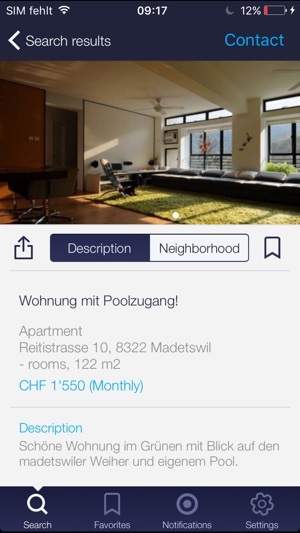 Contact us at: info@home.ch. 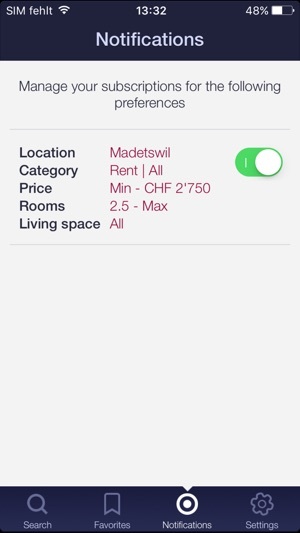 Download the home.ch iPhone app now and find a new home. Claims to find 200 Objects in my region, but everything is over 100 km away. Search criteria are not observed, objects have no price. Absolutely useless app.